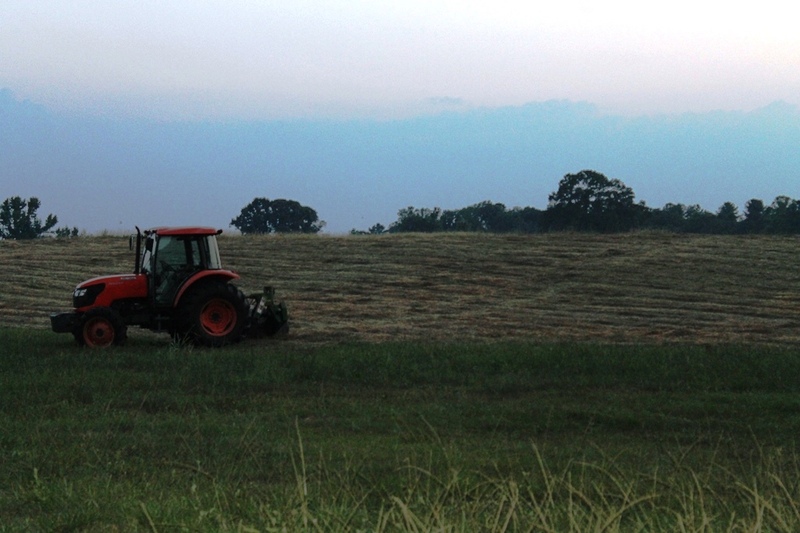 It’s time to cut and roll the hay again. Although the fields flourish with an abundance of grass, the days are getting shorter, the slant of the sun says “September,” and this week’s forecast calls for no rain. The tractor mowed all day Saturday and rested as the sun set. The next day would require resilience. 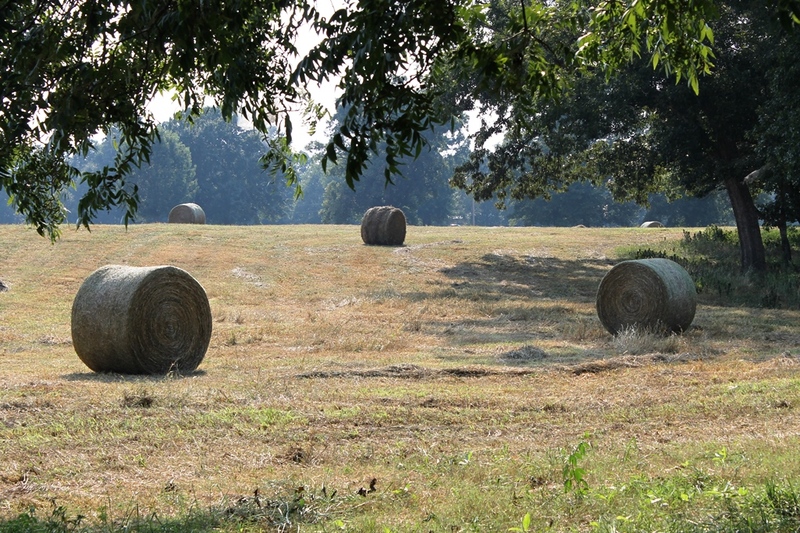 Ten hours later, the finished product dots the landscape, and the hay rolls dry in the haze. Would that we fretting humans could tend to that which we need to tend like the tractor cuts hay…methodically and timely. Do what we can and forget the rest. 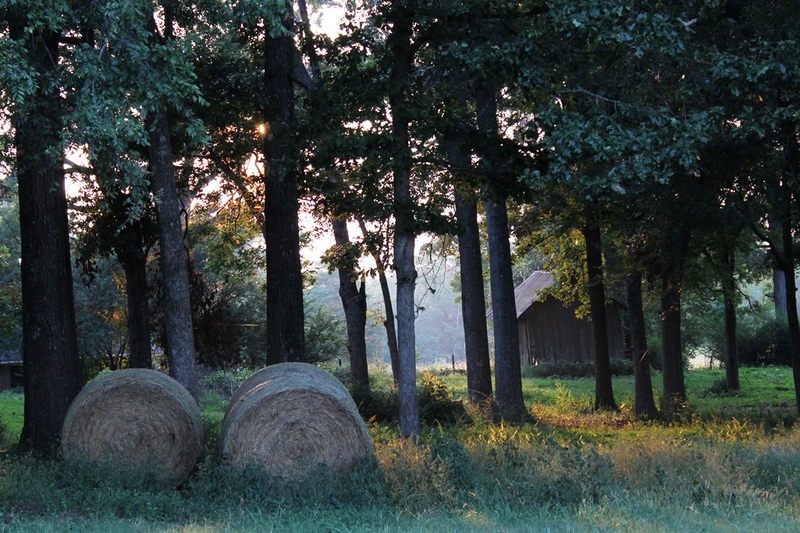 This entry was posted in Uncategorized and tagged hayfields, nature, resilience, September, Worry. Bookmark the permalink. Oh thanks so much Judy…I really appreciate your words. Are you guys in town this week? Town, meaning Pine Mtn? I can just imagine the smell. 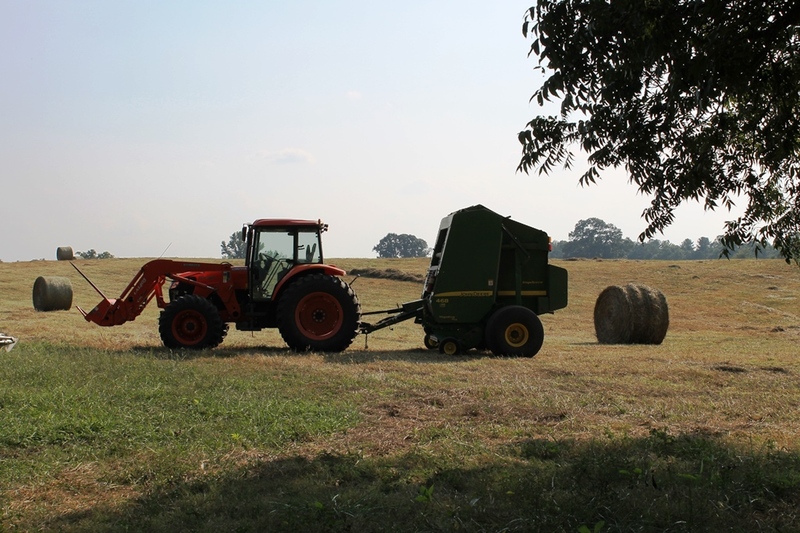 I aways loved the smell of hay harvest! it is delightful…they are moving the rolls now…I will miss their silhouettes on the landscape.